THERE ARE MORE gains for Sinn Féin with the latest Sunday Business Post/ Red C poll showing their popularity has jumped four points to 22 per cent. While the poll shows gains for Sinn Féin, there were is a drop in support for Labour, which is down four points to 7 per cent. The poll found that if there was an election tomorrow, 25 per cent of voters would give their first preference vote to Fine Gael. This is the same outcome as the last poll. Fianna Fáil have also seen a drop of four points, with support at 18 per cent. Support for Independents is up to 28 percent, an increase of three points. 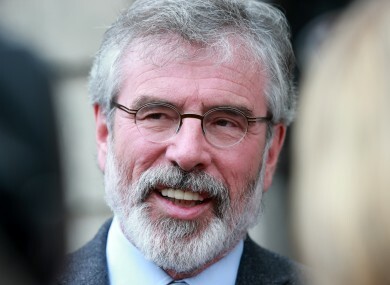 Email “Latest poll shows Labour support continues to fall as Sinn Féin sees a further boost”. Feedback on “Latest poll shows Labour support continues to fall as Sinn Féin sees a further boost”.